Pistol Creek Wetland Center is an educational center that is a display of native birds, plants and animals. The area has been preserved as a learning center and is designed to be used as a self-guided tour facility. Informational signs along the walkway make this a great outing for individuals, families, students and organizations. 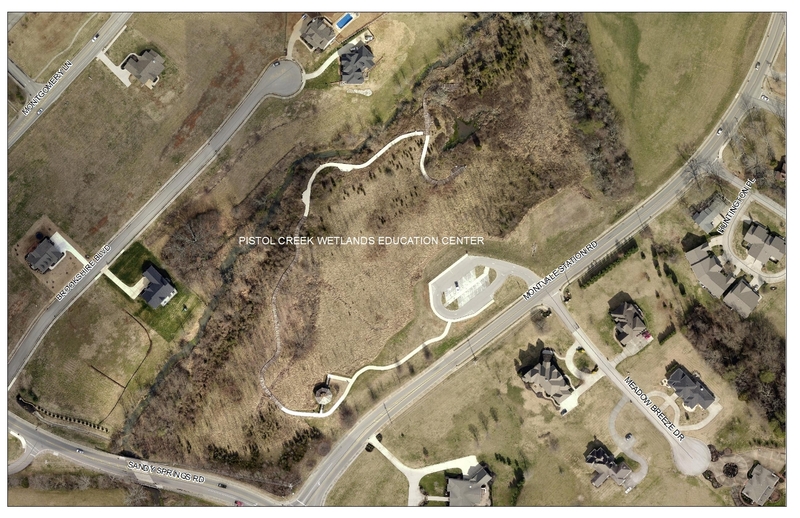 ​The city of Maryville Engineering and Public Works Department announced the installation of newly designed educational signage at the Pistol Creek Wetlands Center. The signage is designed to help visitors better understand wetlands and their importance to the environment and focus on elements specific to the Pistol Creek Wetlands Center. Pistol Creek Wetland Center is an educational center that is a display of native birds, plants and animals. 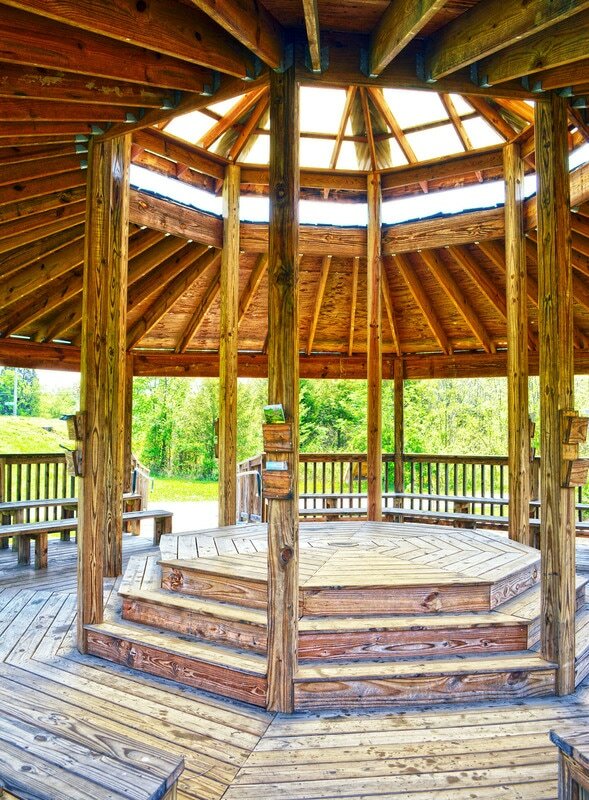 The area has been preserved as a learning center and is designed to be used as a self-guided tour facility. The facility is available to reserve for educational purposes for individuals, school groups and organizations. The concept of developing a wetland center began in the late 1990's. The City acquired part of the Delozier farm at Montvale Station Road. The Environmental Protection Agency (EPA) awarded a grant to the City in 2006 which completely funded the project. No matched funds were needed from the City. Maryville College students played an active role in the project under the leadership of Dr. Ben Cash and Dr. Mark O’Gorman. Doctors Cash and O’Gorman worked with Maryville College students to participate in the initial study and post-construction activities of the Center. After the initial construction of the Center, the area began to grow into a sapling grove inhabited mostly by invasive species. Mayor Tom Taylor began a search for someone with the expertise and knowledge needed to develop a maintenance plan for the Wetlands. Dr. Matt Gray, a professor teaching Wetlands Ecology and Management at UT, was highly recommended for the job. Dr. Gray will be working as part of a task team to ensure the long-term maintenance of the facility’s inhabitants. Wetlands are a natural filtration system for reduction and prevention of pollutants in waterways. Pistol Creek Wetlands Center breaks down pollutants and filters excess nutrients prior to the water entering Pistol Creek. 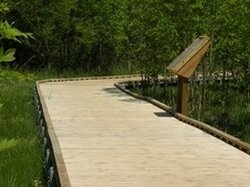 Additional benefits of the wetlands center are education and enjoyment of the native natural environment and species. There is educational information all along the walkway. Maryville College was very helpful in identifying all the native species that live in the wetlands. Here, one of the College students shows a fifth grade class one of the species of turtles that makes its home in Pistol Creek. Schools are encouraged to visit one class at a time versus an entire grade level to make the experience more worthwhile to students. 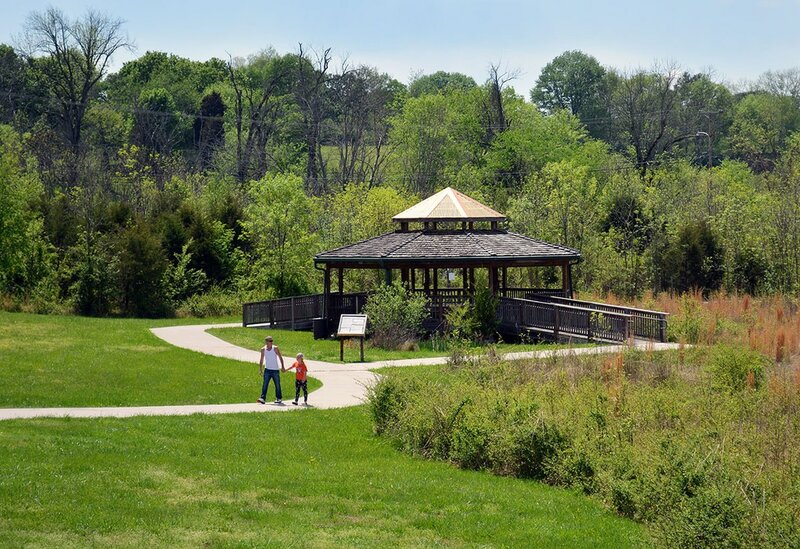 Because parking is limited schools and groups of 10 or more must reserve the use of the Pistol Creek Wetland Center. There is a parking available for buses. To reserve a date to visit the Center, call 273-3401. (There is no charge to visit). LOCATION: 1951 Montvale Station Road. Click for Mapquest. NOTE: This facililty is for educational use only. Not for use for parties, anniversaries, weddings, or meetings.